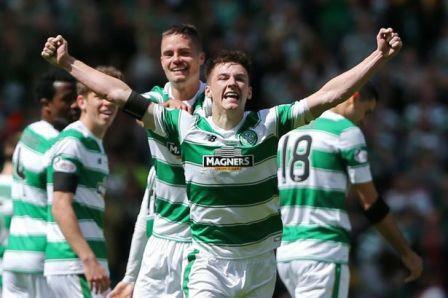 Arsenal are preparing to launch a staggering £10million move for Celtic’s Kieran Tierney. The Gunners are weighing up the prospect of taking the plunge on the 18-year-old this summer as English rivals circle around the talented left-back. Tierney’s progress this season from youth player into top-team Parkhead regular and Scotland senior international has captured attention of some huge clubs. Manchester City and Liverpool have also watched the teenager, but it is the Emirates outfit who have made the most serious moves and checks behind the scenes. 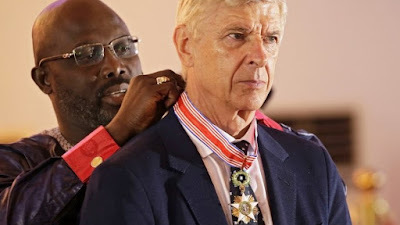 Such were the strength of initial scouting reports, Record Sport can confirm Arsene Wenger’s chief scout Steve Rowley has been sent by the boss to make personal checks. Wenger showing in the past he is prepared to spend huge sums on teenage talent and Record Sport believes the Gunners would be willing to go to £10 million if they choose to make the move. The Arsenal boss shelled out £16 million for 19-year-old Calum Chambers after the defender made just 25 top-team appearances for Southampton. And Wenger also paid the South Coast club £12 million five years ago for 17-year-old Alex Oxlade Chamberlain after just 41 appearances in England’s League One. Tierney’s talent is obvious and the Scottish champions handed the kid a new four-year contract at the beginning of the season after he broke into the first-team set-up. His progress has led club chiefs to put together a new-and-improved five-year deal. Tierney, a Celtic fan all of his life, has indicated he would be willing to sign that extended deal, but a concrete move from Arsenal would likely test Celtic’s resolve. Celtic, meanwhile, are interested in American kid Emerson Hyndman. The 20-year-old has decided to leave Fulham and is available for a cut-price compensation fee if he moves out of England. AC Milan and Borussia Dortmund have been mentioned as potential suitors, but Celtic are among those chasing clubs.